Musings of a Code Fiend | Rant, raves, musings, and lessons learned through a love of code. In the last 4 years I have gotten to work with all sorts of cool hardware and a lot of those devices really only came with documentation on how to work with them. As a result I had to build an interface that would get them to work. I have decided to start open sourcing these interfaces one at a time. We have used two of these readers the 98xx and currently the 5000 reader. 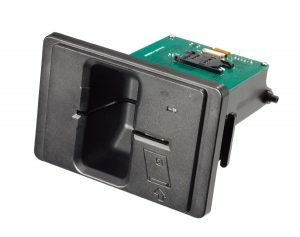 These are magnetic card readers designed for use in kiosks & ATM machines. The 5000 series is really pretty cool and is fully motorized and even has a tamper guard. 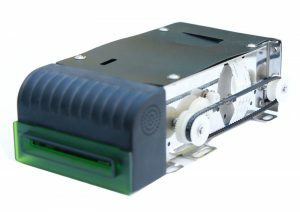 The 98xx series is the non-motorized version simplified version of the 5000 series. 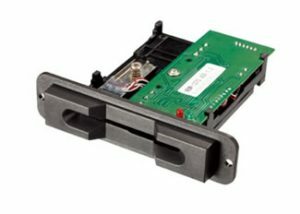 The third device the 1370 series partial insertion card reader we install in slot machines as part of our player tracking system. When I have time I will be releasing a more updated and feature complete version of this driver that we use in our android application that runs embedded in the slots. That driver is written in java and leverages the android serialport api for serial communication for an android device with an accessible UART. So if this is useful to you feel free to head over to github and grab the code and do with it as you please. If you are considering using these devices but have questions about it (the manufacturer a rather random blend of helpful/clueless about their products at least the English speaking people at the company) I have been working with them for almost 4 years now. This entry was posted in Uncategorized on 04/29/2016 by Matt Van Horn. So I somehow let my old blog’s (internet archive) hosting lapse due to the craziness of my current workload. I was sad about this… and while I still own the domain name and could just turn it back on, I am at a different point in my life personally and professionally. I now live oversees and there are not a lot of speaking opportunities here where I live about the cool stuff that I am building. When I started my old blog it was an outlet for my creative energies as I was in a job that didn’t really tax my creativity at the time. Since then I have worked in two different companies that both offered a great deal of fun problems to solve. Now I am the founder and general make stuff work programmer dude for my own company. I have built a lot of really cool stuff over the last 2 years and have a lot of really cool tidbits that I would like to start sharing. I decided to start trying to blog again and that is why I launched this blog. Android application development, custom rom building, and generally how to go about using it as an embedded platform to build a (non tablet/phone/wearable/TV) product on top of. Knockoutjs – cause it is awesome and I love it. For the next month or two I will be pretty busy but after that I am hoping to open source VERY simple no external dependency required HTTP server for android that also has a dumbed down MVC application framework (it is pure Java and allows you to serve up a mix of static html, JSON data, and html with knockout models.) to bring you all the CURD goodness that MVC applications are so good at building. This entry was posted in Uncategorized on 10/09/2014 by Matt Van Horn.